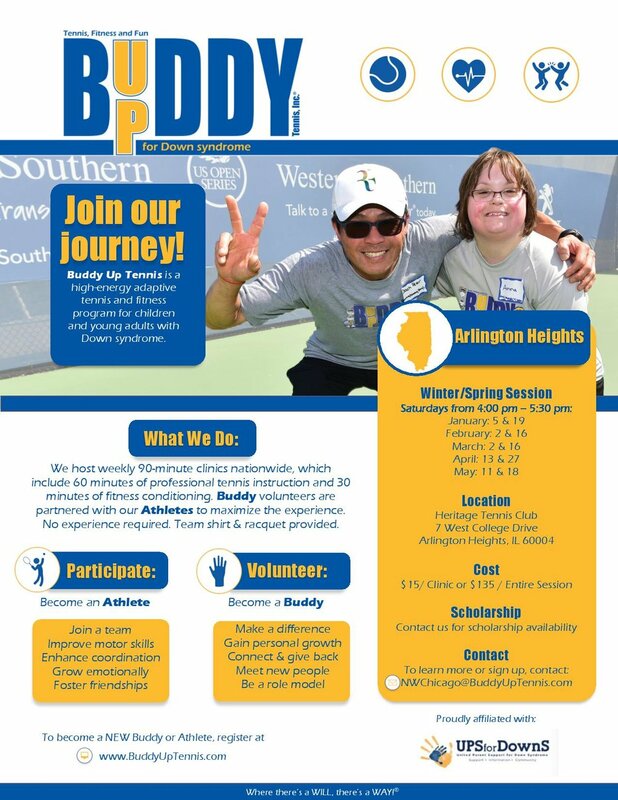 Buddy Up Tennis is a high energy adaptive tennis and fitness program for children and young adults with Down Syndrome. 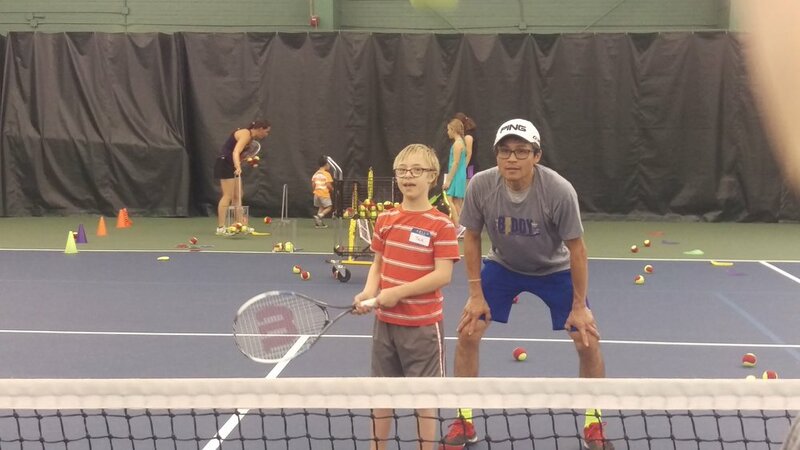 Our clinics takes place at Heritage Tennis Club in Arlington Heights every other Saturday from 4-5:30pm. 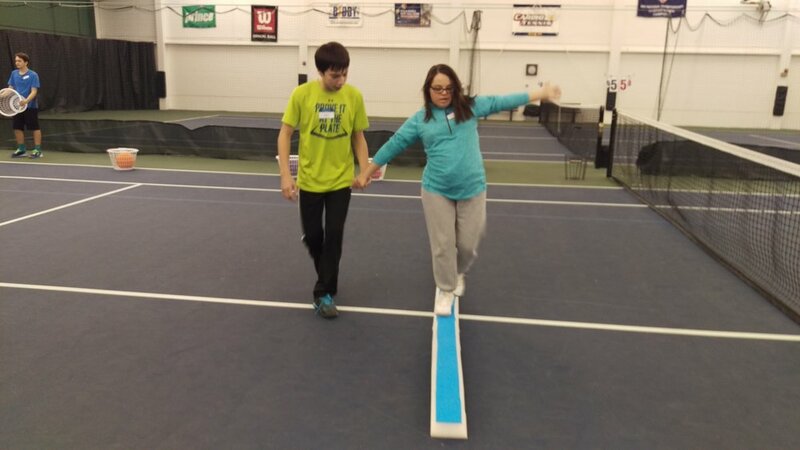 Do you know someone with Down Syndrome that would enjoy playing tennis? Become one of our valued Athletes and enjoy being part of a team. You’ll improve physically by enhancing motor skills, balance and coordination. You will grow socially and emotionally while gaining confidence and most importantly create lasting new friendships. 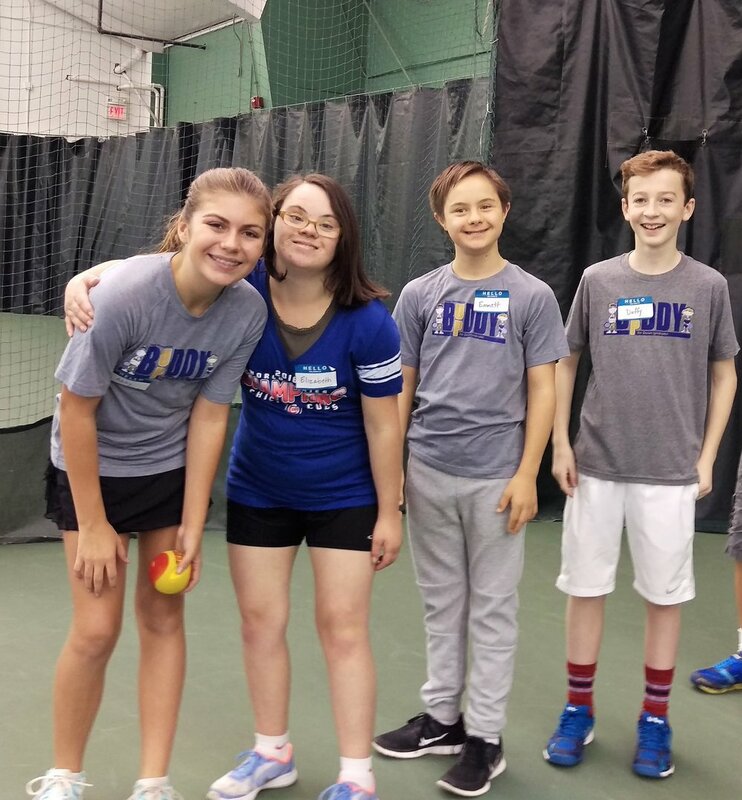 Consider becoming a Buddy, and make a meaningful impact in the lives of our Athletes! You’ll have the opportunity to make genuine connections, give back, and become a positive role model. Our Athletes will inspire an motivate you more than anyone you have ever met!